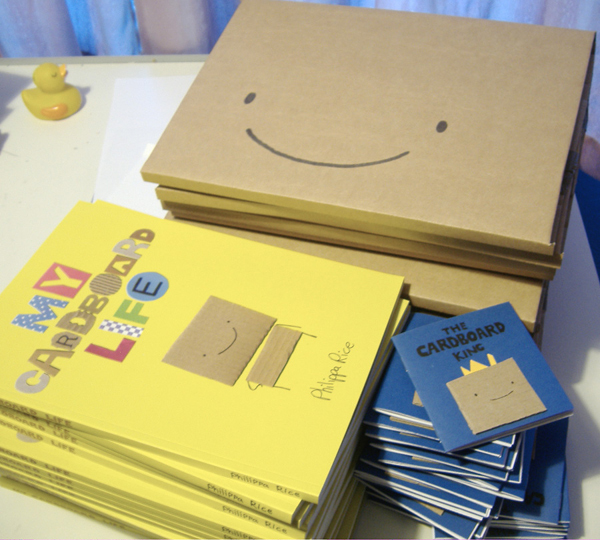 Here’s a photo of some of the pre-ordered My Cardboard Life books that I am packing up to send very soon. If you want to get a copy of the book, go ahead and order it here. 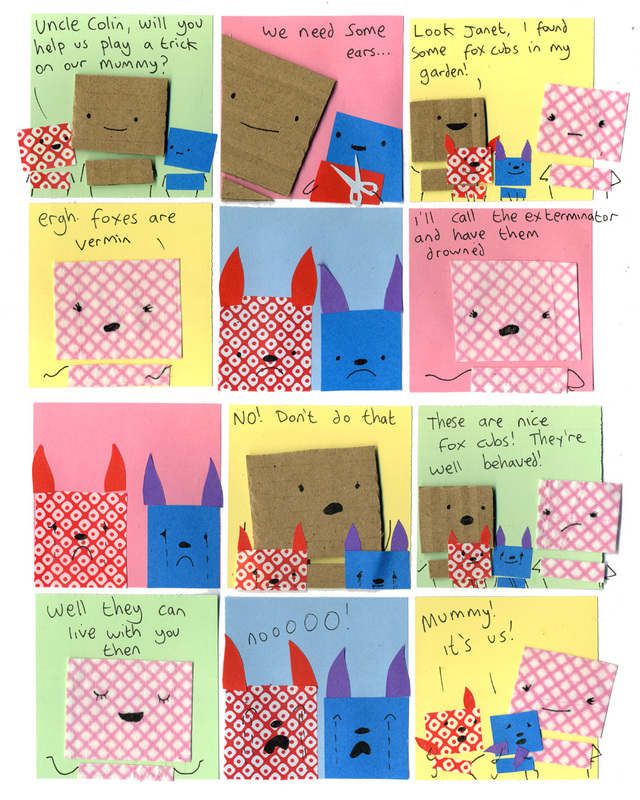 Today is you’re last chance to get the Cardboard King mini-comic because I’ll close the “pre-orders” tomorrow. Thanks so much to everyone who’s ordered the book so far, the pre-order has been a big success! Awww. The saddest part is how they seem more upset about living with Colin than being drowned. awww….is Colin reli dat bad? HA! That’ll teach people wanting to be furries! Foxes = vermin must be a UK thing. In the US we have gophers, raccoon, opossums, skunk, and sometimes coyotes (or even dear eating a vegetable garden) that cause trouble enough to be considered vermin, but foxes are a little less common and more highly regarded (because they are rarer). At least in California in Arizona. It’sinteresting if you think about it: they’re made of paper… they use paper in their fake ears, so… they use people’s flesh in their fake ears? hahah their mom is so mean!